What’s the Point? I’m bad with numbers. What’s in it for me? As you read this web site or the book you will be presented with what I call compelling evidences that God has left a pattern in the Bible never before written about. One of these evidences explains that Psalms 117 is the exact center chapter of the KJV and similarly formatted bibles. 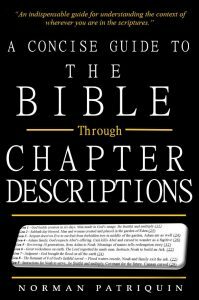 This chapter is a curiously unique chapter with just two verses and it is the only two verse chapter of the Bible. How did this unique two verse chapter find itself in this center point of the Bible? The evidence is presented to demonstrate it is unlikely such proofs are products of coincidence or happenstance. Can the average person benefit from understanding this pattern? 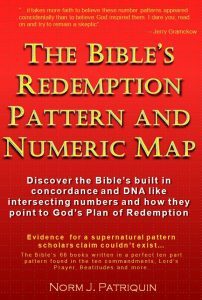 Yes, even a simple understanding of the presence of this pattern can forever change how you think of God and his word. In my book I tell a story of my first visit to the Grand Canyon just two years ago. I had arrived at the rim about 6am. After driving for awhile that morning I was a bit weary as I slowly walked over to the canyon viewing area– not paying much attention to anything, my head looking downward as I walked. As I got over to the edge of the rim I casually looked up and as my eyes focused on the view I was in shock. I could not believe the panorama my eyes were taking in. I had seen many pictures of the canyon, flown over it and seen it in movies but my heart and mind were not prepared for what came to my eyes – I had no idea! You know the experience, you stand in disbelief, your heart jumps and maybe for a second you can’t even breathe as your mind attempts to cope with this new reality. It was an incredible experience to take in the Grand Canyon like that. IT IS HUGE! Words, pictures and movies cannot express the experience of it…you have to see it for yourself. One of the most incredible experiences I’ve had related to this discovery is very much like my Grand Canyon experience. During a daily quiet time I ran across one of these compelling evidences and suddenly found myself in total awe of God because it suddenly occurred to me that God actually wrote the words I was reading. Maybe he didn’t put pen to paper, but the words are his—exactly. I didn’t know how, but I knew he did it. I just sat there shocked for a few seconds as my mind tried to cope with this new truth. We all know the Bible is inspired but this is a very different experience. It’s kind of like suddenly realizing in a real way God is there with you…speaking as if to say…see, it is me. There’s no telling what evidence will finally signal your brain what God really has done in the miracle of his word. Until then, all these evidences are just interesting information, but one day you might suddenly be surprised that the Bible we hold in our hands is not the inspired words of God written by men…it is the exact words of God as he intended us to read them. It does not matter how the words got onto paper, men were not really involved in the writing. The evidence shows the DNA like organization of the Bible is not of human origin—it is not remotely possible. As you take in such thoughts you begin to realize you will never again wonder what Matthew meant when he wrote something, or try to resolve why Luke wrote his experience one way and Mark another—God wrote everything exactly as it is for us to read and understand. When we can’t understand something in scripture, it’s no longer because it is written unclearly —we now keep going because we are convinced there’s something God wants us to know. Most importantly, you trust it at a level you never have before because God wrote it—it can have no errors. It’s hard to explain about knowing the Bible is truly a supernatural book given directly by God, but when it happens it will change you. Imagine – you’ve taken a long hike to the top of a mountain where nobody goes and you know you are totally alone. You come upon a clearing where on a flattened rock a perfect book is open in front of you—The Words of God. You know by how it looks it is from heaven and only God could have put there. A gift directly from God – that’s the kind of feeling I believe is possible by investigating these truths for yourself. God is more real and more present to me now than I ever imagined possible. Unless someday I realize the pattern is not real, I don’t think my belief in God and Jesus can ever again be shaken and I 100% trust in God’s Word.